Dr. Herbert Sauro is an associate professor of UW Bioengineering and director of the Center of Reproducible Biomedical Modeling. 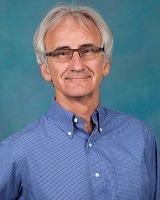 He also teaches a core course on biological control systems in the undergraduate bioengineering curriculum. Read more to learn about how he took an unusual route to academia by following his passion for combining computational modeling and biology. UW Bioengineering Associate Research Professor Lara Gamble has been named director of the UW Molecular Analysis Facility (MAF), a fully-staffed instrumentation facility with extensive microscopy, spectroscopy and surface science capabilities. Dr. Alyssa Taylor is a senior lecturer in the UW Department of Bioengineering. Read more to learn how she dealt with the emotional toll of losing her father during graduate school. Teaching engineering students to create thoughtful, user-focused design, and connecting her students with clinicians and public health experts is Soraya Bailey’s professional passion. The latest episode of the Emmy® Award-winning educational program BrainWorks focuses on brain-computer interface (BCI) technology, which offers promising opportunities to treat stroke, spinal cord injuries and other neurodegenerative disorders. BrainWorks is co-produced and hosted by Eric Chudler, research associate professor of bioengineering and the executive director of the Center for Neurotechnology at UW.